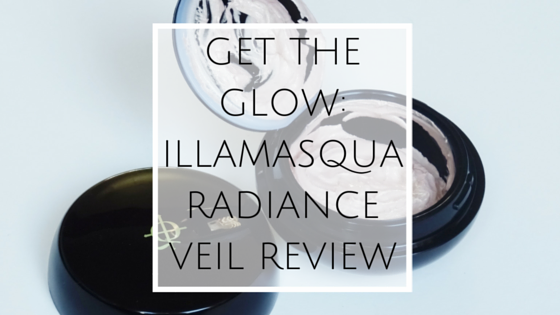 Since Summer is pulling to an end and the days are getting darker and colder, it’s always good to add a bit of glow in your life and with the brand new Illamasqua Radiance Veil you can do that all year round. Illamasqua Radiance Veil is a brand new product to its sister products Hydra Veil used for hydration and Matte Veil used for oil control. Radiance Veil as you might be able to tell is for getting that glow that we all want from our skin. Radiance Veil comes in the standard packing for the Veil type products but the difference with this launch is the holographic effect which is meant to symbolise the glow. Radiance Veil creates a beautiful light that glows and radiates. As you can see from the images its a soft peach golden tone almost like seeing your skin softened in candle light, as it is a soft peach tone it means that it can be used by anyone from really pale skin right up to really deep tones making this product universal. In addition to illuminating pearl pigments and Vitamin C, Illamasqua Radiance Veil also contains Acmella Oleracea extract, which is known for its instant smoothing effect and ability to boost skin’s elasticity and radiance so over time you should be able to see some sort of difference in the texture and look of your skin, Illamasqua is really big now on combining skincare elements into their makeup products also containing Vitamin E which is added to improve the skin’s level of hydration. I’ve found that there are a number of different ways to use this product it isn’t like the other Veils that you have seen before by Illamasqua as this product can not only be used as a radiance primer used before applying your makeup and after your moisturiser but it can be mixed in with different foundations to boost the radiance, e.g if you had a matte foundation you liked the coverage of but it was a bit to flat for you then you could mix in some radiance veil to suit it more to your needs. Radiance Veil can also be used as a highlighter and illuminator over makeup, ive found that this works amazing ive used it on more than 5 different people all with different skin tones and textures and it has looked amazing! What do you think of this new addition? What is your favourite of the Veils? Great Review! I think I need this in my life! Thanks! you certainly do its an amazing product!